674 pages, softcover. 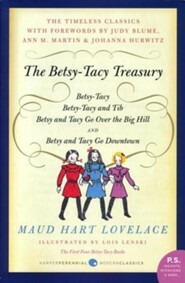 An appendix with photographs and information on the author and the publishing of the Betsy-Tacy series is also included. 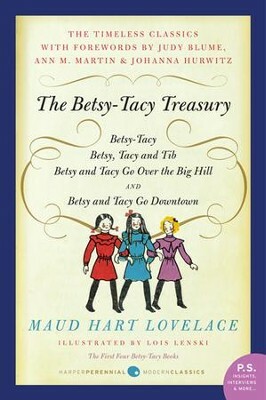 Maud Hart Lovelace (1892-1980) based her Betsy-Tacy series on her own childhood. Her series still boasts legions of fans, many of whom are members of the Betsy-Tacy Society, a national organization based in Mankato, Minnesota. “I now realize that one of the reasons I believed I could someday become a writer was because of Betsy’s own infallible confidence that she would be a writer. 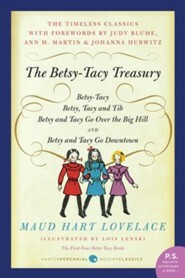 I'm the author/artist and I want to review Betsy-Tacy Treasury - eBook.